Brewed in Italy to the original recipe since 1963, Peroni Nastro Azzurro exemplifies the traditions of Italian craftsmanship. Created to reflect the emergence of Italian luxury in fashion and design, it was designed with the sharp, sophisticated beer drinker in mind. 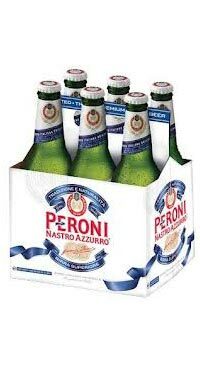 Peroni Nastro Azzurro is gently brewed to give an intensely crisp, refreshing taste. Clear, bright golden colour; creamy, yeasty, malty aromas; refreshing, palate with a light bitterness.